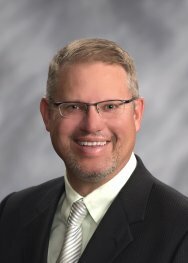 Rapid City Dentist, Dr Mike Krump, and his entire team welcome you to our practice. We look forward to giving you the smile of your dreams. Each member of our team is dedicated to making your experience with us as welcoming and comfortable as possible. We hope that we will be privileged to become your dental home. Our Dental Practice is currently accepting new dental patients and we would love to have you join us! Please take your time and browse through our site to learn more about us and our services. Call Downtown Dental located in Rapid City, SD at 605-342-4882. Like us on Facebook! We are extremely proud of the dental pioneering practice we have built, and I’m proud of the quality work my staff and I provide. I invite you to visit us and begin a conversation about your dental health, and see how we can become a part of your total wellness plan. By continuously staying up-to-date on the latest advances in dentistry, and by using the highest quality dental materials and equipment, you can rest assured that you will always receive the finest care dental care in Rapid City. Whether you are needing a professional teeth whitening treatment, or you are looking for an entire cosmetic make-over, you will always leave our office with a healthy, beautiful smile. Our skills and education enable us to achieve a standard of excellence in personalized dental care that our patients deserve. At Downtown Dental, Dr. Mike Krump spends time getting to know you, understanding your oral health history, lifestyle and preferences in order to create a plan of prevention and care that’s right for you. Call or stop by our office in Rapid City and let us help you be proud of your smile! Our Services comprise the following areas: cosmetic dentistry, periodontal disease treatment, restorative dentistry, and preventative care. We offer a variety of dental procedures to support our service areas and to keep your smiles healthy and bright. We’re committed to world-class family dentistry services in a safe, relaxing environment that’s suitable for your whole family. We understand that a visit to the dentist can be intimidating to some, that is why your comfort is always a priority for us at Downtown Dental, your Rapid City dentist of choice.